If you’re advertising in order to generate leads for your business, then Call Tracking is a must for you. Call Tracking tells you how many calls your business receives from any type of advertising, so you can determine what works best for your business. We can track both online and offline, and even help you optimise your Google advertising. 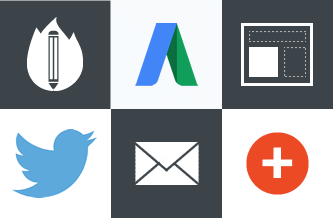 Below, you’ll find a few examples of some of the types of advertising you’ll be able to track. If somebody arrives at your site from any of your online advertising and calls you, your report will show it. For example, if somebody clicks through to your site from your Facebook page and phones, you’ll know that the call was prompted by Facebook. 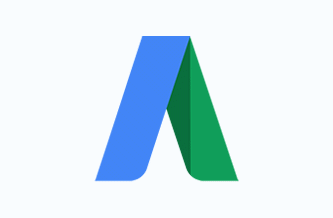 Right now, if you’re advertising on Google AdWords to generate leads, and you don’t have Enhanced AdWords Call Tracking, then you’re not optimising your account efficiently. Call Tracking can tell you how many calls you get from each keyword, so you can optimise for the ones that work, and delete the ones that don’t. 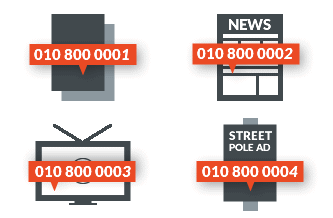 You can track which ads generate the most calls, or which Display network sites do. Track calls from the Search network, Display network, Youtube and Remarketing.